Hello! Welcome to the Gold Coast Australia and the sunshine state of Queensland! I guarantee you will find real information on this website and I promise no endless lists of accommodation! You'll find hints and tips from my own experiences and those of my family and friends who visit or live here. I've lived in and around Gold Coast since 2004. I'm here to help. Use this website to get all the information you need to plan your perfect Gold Coast holiday, or simply click here to get planning cheat sheets, tips & tools to make it easier! 1. 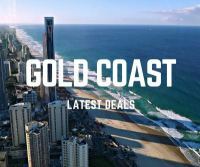 Why should I choose Gold Coast for a Queensland holiday ? 2. Which airport should I fly to: Brisbane or Coolangatta ? 3. Should I hire a car? Or, can I get transfers ? 4. When is the best month to visit Gold Coast Australia ? 5. What's the weather going to be like when I visit ? 6. Where is the best place to stay ? 7. What is the best accommodation for a family holiday ? 8. What is there to see and do ? 9. When is whale watching season on the Gold Coast ? 10. What events are on and when ? If you are looking for a step by step guide to planning your trip and the resources to do so, then the first place to start on this website is our Travel Guide. 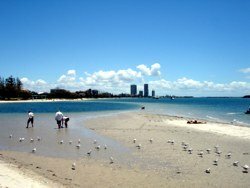 Otherwise, read on down for various resources to plan the different aspects of your holiday to the Gold Coast. In the same way that there isn't only one flight option for getting to the Gold Coast Australia, there isn't one best time to visit or only one place to stay. 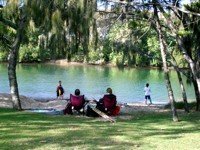 I'd love to introduce you to parts of the Gold Coast you might not have known about or considered before and give you information about those that you might have heard of. I'd like to help you narrow down your search so you can decide for yourself what you want and what you don't want! What fits best for you. Why Holiday in Gold Coast? Discover what the Gold Coast Australia has to offer for a holiday in Queensland. Find out if the common myths are true or false! And if you are coming to Australia from overseas why not put the Gold Coast into your itinerary on your travels downunder to Australia. Struggling To Work Out When To Visit? There are several resources on this website. The first stop should be the monthly guides which cover each month or you can skip straight to the months. On each of those pages you will find a quick snapshot of what is happening around the Gold Coast each month including information on school holidays, public holidays, local events, weather for that time of year, suggested things to do and other tips. Special Note for overseas visitors, you might forget our seasons are upside down! Australian Summertime is December to February, Autumn is March to May, Winter is June to August and Spring is September to November! There's a page on frequently asked questions about when to visit and if you don't find something there you can ask your own question. 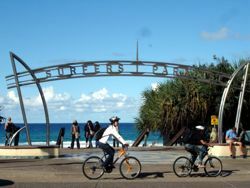 Surfers Paradise attracts much attention, however the Gold Coast is so much more than just Surfers Paradise. Use the suburb guides and map to discover and guide you around this very large and diverse area. Each suburb page is a snapshot of information with some of the main areas including Surfers Paradise, Broadbeach, Main Beach, Coolangatta, Burleigh Heads, Miami, Southport, Labrador, Sanctuary Cove, Hope Island and South Stradbroke Island. Scroll down each of these pages for an indepth look at each area. You will be amazed what you will learn from about each including: travel distances to major attractions, nearest golf courses, local attractions, places to eat and places to stay, plus my usual tips as needed. Apart from the amazing beaches, Gold Coast Australia has many attractions some man-made and some natural ones! 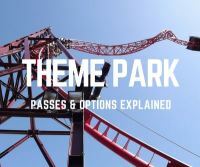 Theme Parks are the popular attractions especially with families, but there are many more sights to see and things to do. And for the adventurous there are tours to amazing destinations like Tangalooma where you can even take part in feeding the wild dolphins, or up into the hinterland to the national parks, rainforests and other scenic areas, or day trips to Brisbane, Sunshine Coast, Australia Zoo, Byron Bay or even the Great Barrier Reef. Many things are possible - what will you do? Don't panic if you are unlucky with the weather there is still plenty to do on rainy days to keep you and kids occupied from best rainy day shopping, movies, all weather local attractions to indoor playgrounds. 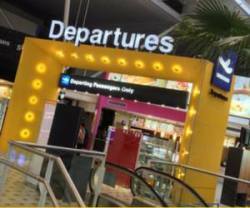 Most visitors fly to the Gold Coast, so the first decision is which airport! There's the Gold Coast Airport (aka Coolangatta Airport) and Brisbane Airport. This can be particularly confusing when visiting for the first time. And if you are coming from another country you will need an Australian Visa. Shall I hire a car? Can I use local transport? What about coaches and transfers? This is always such a personal decision which can be dependent upon budget, flexibility and local knowledge. When hiring a rental car one thing is for certain, it is really hard to compare apples with apples! Everyone seems to have a different offering. 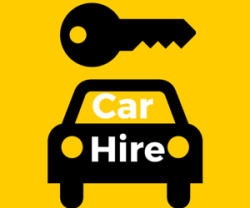 Check out these car hire tips for things to look out for before you rent a car. Gold Coast Australia covers a large area with a diverse range of places to stay. The photo above shows some of the Gold Coast accommodation choices on the coastal strip between Main Beach, through Surfers and down towards Broadbeach and Burleigh Heads. There are so many choices both on the coast and in the Gold Coast hinterland. Choosing the right place will have a huge impact on your enjoyment of your holiday. I suggest you have a look at the different areas and suburbs, use the map and get to know the areas. Once you have narrowed down your areas, check out the suggested accommodation on the suburb pages. I like quality not quantity! But quality doesn't mean it is the most expensive. I usually suggest that first timers stay in or around Surfers Paradise, because it is generally easier and closer to the main tourist areas. You'll find a great selection of hotels and holiday apartments in Surfers to choose from. If you are after a big name hotel or apartments this great comparison tool will show you how to get a great deal - all on the one page. There is certainly plenty to choose from, so you'll have to find ways to narrow it down - but isn't that the fun of planning a holiday? It helps build the anticipation! What To Do If You Get Really Confused! Firstly, I am not a travel agent! I have this website because I am passionate about helping people see more of Gold Coast Australia than just the glitzy Surfers Paradise. I want you to really experience Gold Coast Australia so that when you leave, you are already planning your next trip! If, after looking around the website, you cannot find what you are looking for please use the search box at the top of each page. Simply type in what you are looking for. If, you want to get the very latest and best of my planning resources then click here for my cheat sheets, planning tips and resources. And if you are stuck, or truly cannot find what you are looking for then please feel free to contact me - I cannot promise you I will know the answers to every question about Gold Coast Australia, but I will try to help you as best I can.